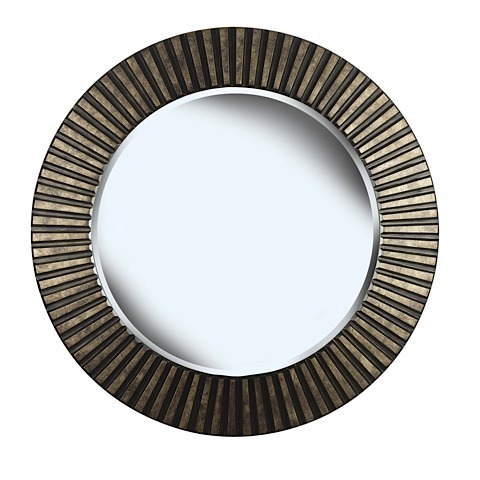 With a boldly textured, carved ring frame and a rich looking bronze finish, this mirror will make a statement in your home. The overall dimension of the piece is 34” in diameter. The central mirror component is 25” in diameter. Hanging brackets come pre-installed on the frame.